Design of a solar ‘tree’ as a sculpture in the precinct that is also an interactive exhibit of innovation in solar technology. 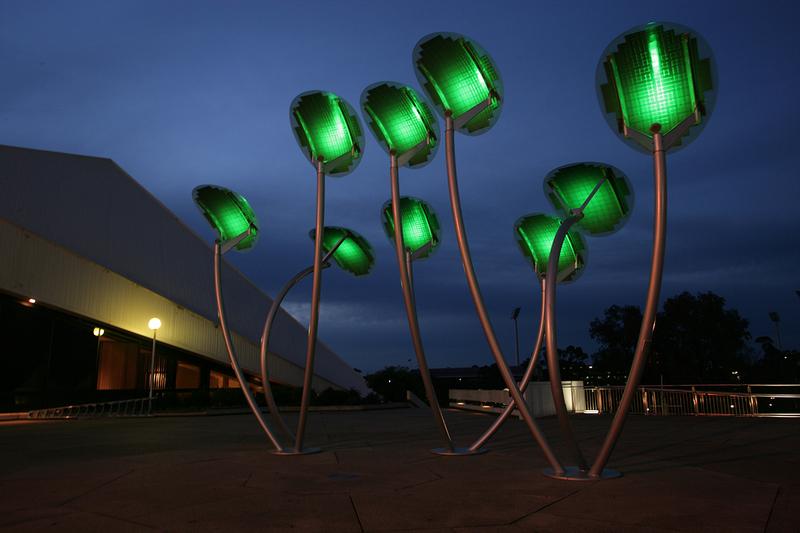 The Green City Program (GCP) was set up with an aim to build on the strength of Adelaide as a clean and green city. GCP was seeking to create a physical demonstration of Adelaide as a Green / Solar City through an innovative approach. 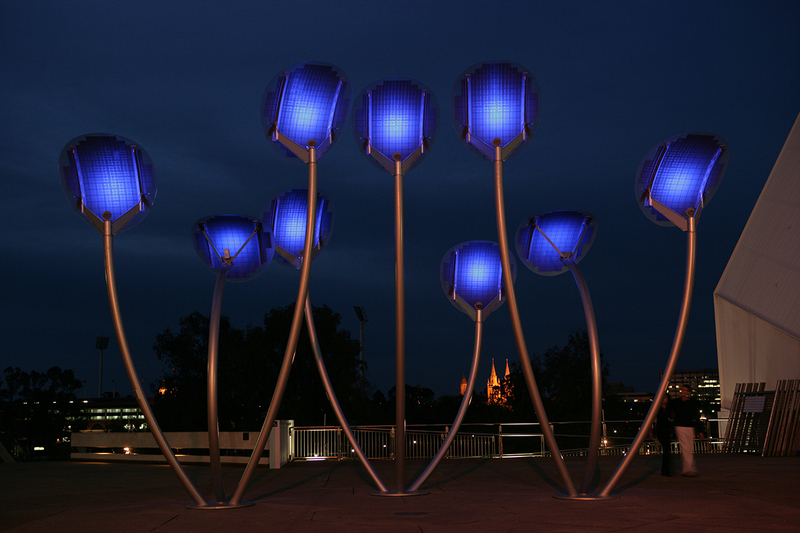 This project creates a public demonstration of solar energy through an innovative structure located at the prominent northern end of the festival Bridge in the Riverbank Precinct. The design for the solar structure is based on an abstract contemporary form of the indigenous mallee tree. The plaza of the Adelaide Festival Centre is an elevated highly urbanised ground line. This forms the setting for the appropriate incorporation of the artificial ‘trees’ to create a holistic artistic composition for this urban environment. 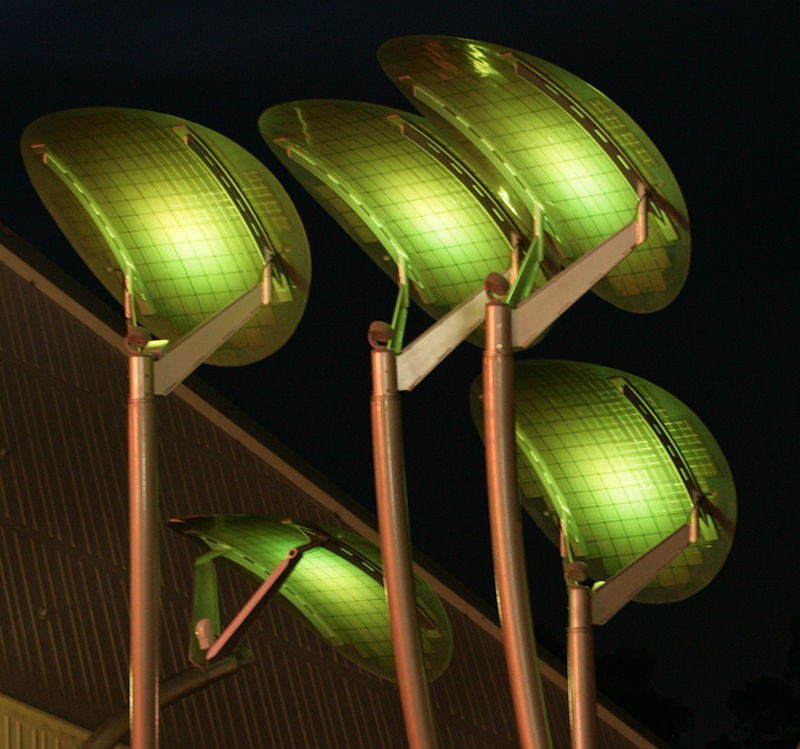 The ‘trees’ harness the solar energy through their ‘canopy’ in the form of laminated oval shaped solar cell panels. Energy will be directed into the electricity grid with the electronic data visible at the base of the ‘tree trunks’. The ‘trees’ have an audio interpretive and promotional feature informing the public about Adelaide as a Green/Solar City and the North terrace Solar Power Precinct. A static visual interpretive panel also communicates these initiatives. 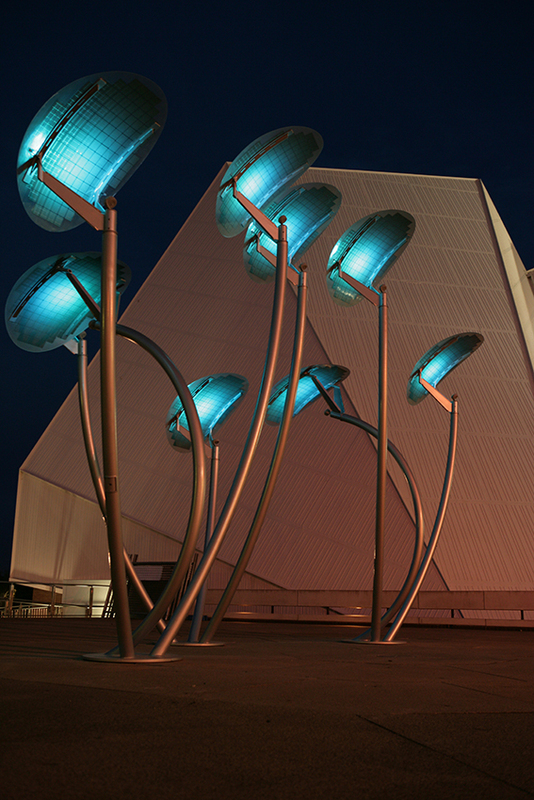 At night the ‘trees’ become a light structure of visual interest but also a source of general lighting for the plaza. Electricity for the lighting would come from the general electricity grid.